Congratulations to Paul Kennedy, the winner of the Robert Sorby ProEdge Prize Draw 2017. 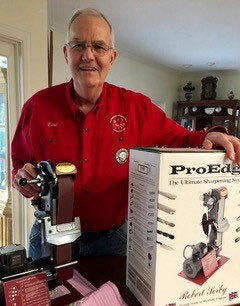 Paul from Tennessee, USA wins a Robert Sorby ProEdge Deluxe. Entrants are now invited to our latest competition which will be drawn in April 2018. Simply fill out the form online to enter. Visit our website regularly to keep in touch with our latest news and events and of course the opportunity to win fantastic prizes.